Yonaka Aluminum Race Radiators - Dezod Motorsports Inc - Home of the automotive performance enthusiast since 2002. 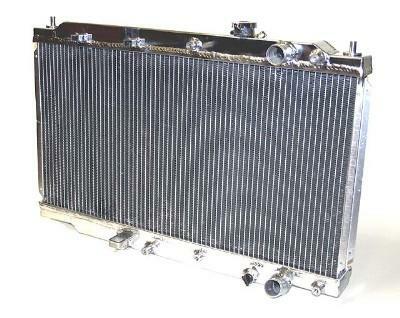 Yonaka Aluminum Race Radiators are 100% aluminum radiator with aluminum end tanks. This is a bolt-in fit, works with OEM fans. In some cases, Yonaka Aluminum Race Radiators will include a fan and shroud kit. Additionally, all cores are polished to a mirror finish. Yonaka Aluminum Race Radiators flow significantly more coolant than the stock radiator.